Help! 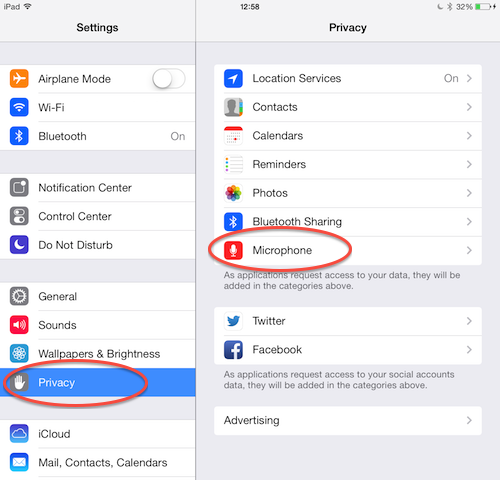 iOS 7 broke my microphone input! 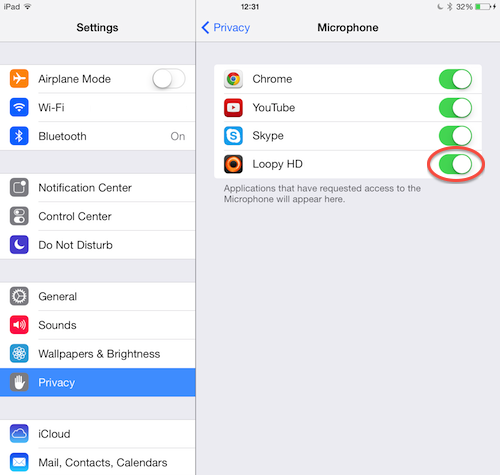 We hear a lot about people having problems with their music apps on iOS 7 no longer receiving audio. I thought it was time I posted an article describing why this is happening, and how to fix it. However, if one taps “Don’t Allow”, the system won’t ask again — ever. That can spell confusion and frustration (and support emails, and 1-star App Store reviews!) 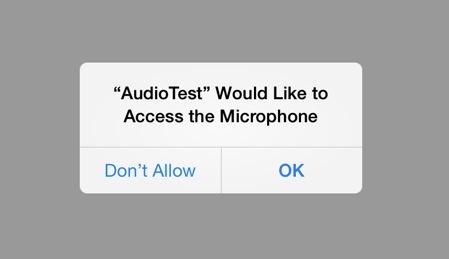 for users who tapped the dialog away without reading it, and then discovered they’re unable to record audio. Alas, there’s not much that can be done about that from our end, except for explaining how to fix the issue once this happens. Once you’ve turned this on, the app should begin receiving audio. Depending on certain factors, you may need to quit and restart the app.